SNEAK PEEK at THE CALLING – SECOND EDITION. The second edition will contain some mind blowing material that I have never shared with the world. The second edition was always the plan, to first release the allegory and then use the allegory to reveal things to people that was hidden within the novel, but never possibly saw. 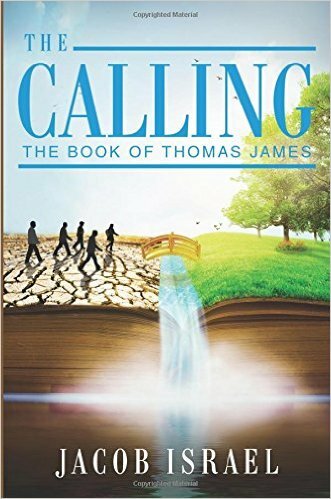 This is the new prologue for the second edition, it reveals the first chapter in “The Book Of Thomas James”, which is the book that the lead character in “The Calling” writes in the future, that changes the world, and also condemns him to die. I sure hope you love it. Also, signed first editions are still available at my website until the second edition release. Thank you for your support and for spreading the news about this novel. Please do subscribe to this blog and find hundreds of critical and eye opening essays under the “More Essays” category menu on the right side of this page. I am writing you because I believe we face an even greater threat today than ever before. The world, as you know, is quickly changing. I applaud each of you for keeping your tongues until the time appointed. We have taken upon ourselves the great and terrible task of sharing so great a truth, that if we were to reveal ourselves to the world too soon it would most surely be our end. I am filled with sorrow that I had to keep, until now, the deepest and most powerful message of them all from your ears. I had to do so for your own good, and for the good of our brothers and sisters in bonds. To the point of these words, my messenger has delivered to each of you pages that I have labored to write for many years. This work, which may seem to the world mere fantasy, hides the key to unlocking the very secrets of creation. To those who are without, these pages will seem an idle tale meant to entertain, or the ravings of a delusional man. However, I assure you, one day these too will join our ranks to glory of the existing one. It is of the upmost importance that you do not keep these chapters to yourself, they are now meant to be shared with other. We do this with the hope that by these words the blind may be given their sight again. I want you all to know how deep my love grows toward each of you. I know of your many sacrifices and I have heard of your many trials, for which my heart breaks. We have been scattered as so much straw in the wind, but I long for the day that we are reunited. I ache for the moment our purpose is fulfilled and the darkness that has held mankind in the chains of ignorance will fall away and we will stand together as one people, united with one single cause, love. I have not abandoned you. It was for your good that I went away, but know this, I have never left you and I am always with you. The good work that has begun within you will continue until my revealing again. We have fought the good fight within and now that fight begins without. Now the truth will be shouted from the rooftops and what a day that will be. Your life is not what it appears to be. What will happen when the truth is poured out on a world that is deceived? To that question I have but one answer, change. have told you in days past how you will be hated for my namesake, how you will be despised and rejected because of the words I have spoken, the very same words that were birthed in your heart. Be of good cheer my friends, we cannot fail. We will overcome this world with good, evil will not overcome us. Regardless of bonds, persecutions, distress, famine, or war, we will always be free, liberated, at peace, full and never wanting. 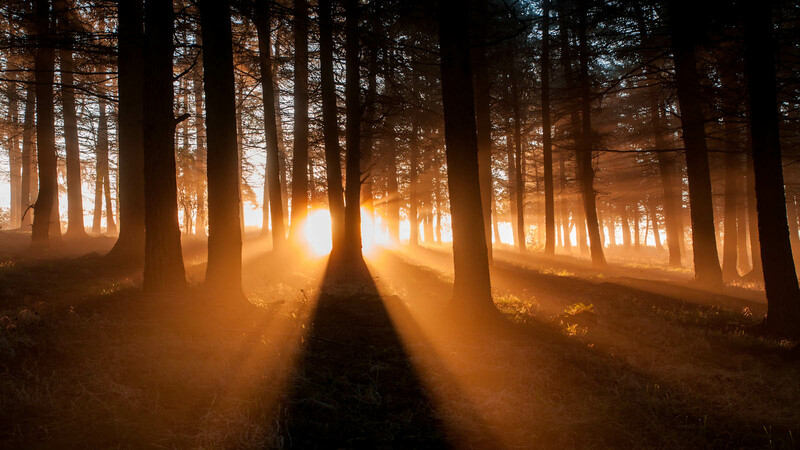 We have within us so great a treasure that the truth of who we all truly are cannot be hid for much longer. Soon, very soon, you will understand that where you are, is where you are meant to be and it will be as nothing compared to what you will find when your purpose is complete. Keep these pages safe. Keep these pages close, you will do as you are meant to with them. Never question, never regret, and never fear that you have been a failure. For every single instant of every single moment was of absolute necessity to bring you to right here and right now. The past does not exist. The future does not exist. The moment is all you ever have. The moment is a treasure. This is why it is called, “The Present”. Blessed are those that do not condemn themselves in what they have done. Blessed are those that do not fear what may be. Fear is the root of all suffering. Fear is the father of all lies and pain. For which this truth will cast out. The desire of your heart has been for this moment, the declaration of liberty is at hand. Let love be your guide. Let patience rule your heart. Let joy heal you in your time of trouble. Follow the path set before you even though it may seem a grievous thing. It will be your devotion to share what you find in these pages that brings you the purpose you so desperately seek. For it will be your words and your actions that ignite this world once again, in what is most certainly humanities greatest and most terrifying hour. Do not try and find me. Do not believe that the messenger is greater than the message. Do not think higher of yourselves than others, for blindness in part has happened to your brothers and sisters in bonds, so you could play your role in setting them free. For now, know how close you are to my heart. You may not see me, but I keep my eyes firmly planted on you, you are never alone, for we are one. As for this note, my messenger will see fit to release it to the world when the time is right. In such a way, that it will cause no alarm among the masses until after the truth is known. Trust your heart, trust each other, and know that when those who read these pages are gathered together, so will begin mankind’s ascent out of this grave called life. Keep vigil, keep the faith, keep to yourself, and keep watch for the hour is fast approaching. PROLOGUE for 2nd EDITION "The Calling"
This is so great and my heart is rejoicing to read what the Spirit has said to me. Keep me on your list for I know you are Truth. We must stand in this hour with the Truth!! Can’t wait Jacob!…You always reveal to us what is already in our hearts…Thank you! Jacob You are going to let us know when it is published and ready for sale yes? Jacob this world has men see is truly troubling but I thank God our Father for His love planned in our hearts than can not be taken away. Jacob we truly need this message in this hour.